Twelve more AWS services have obtained Payment Card Industry Data Security Standard (PCI DSS) compliance, giving you more options, flexibility, and functionality to process and store sensitive payment card data in the AWS Cloud. 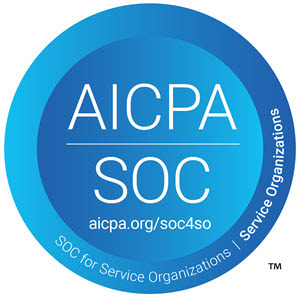 The services were audited by Coalfire to ensure that they meet strict PCI DSS standards. AWS now offers 42 services that meet PCI DSS standards, putting administrators in better control of their frameworks and making workloads more efficient and cost effective. Starting today, you can create and search relationships across hierarchies in Amazon Cloud Directory by using typed links. With typed links, you can build directories that can be searched across hierarchies more efficiently by filtering your queries based on relationship type. Typed links also enable you to model different types of relationships between objects in different hierarchies and to use relationships to prevent objects from being deleted accidentally. For more information about Cloud Directory typed links, see Cloud Directory Update – Support for Typed Links on the AWS Blog. I’m a life-long learner! I try to set aside some time every day to read about or to try something new. I grew up in the 1960’s and 1970’s, back before the Internet existed. As a teenager, access to technical information of any sort was difficult, expensive, and time-consuming. It often involved begging my parents to drive me to the library or riding my bicycle down a narrow road to get to the nearest magazine rack. Today, with so much information at our fingertips, the most interesting challenge is deciding what to study. As we do every month, we have assembled a set of online tech talks that can fulfill this need for you. 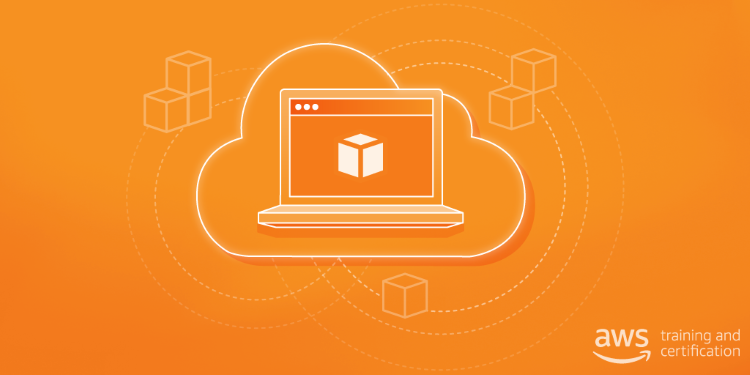 Our team has created talks that will provide you with information about the latest AWS services along with the best practices for putting them to use in your environment. 10:30 AM – Modernize Meetings with Amazon Chime. 1:00 PM – Essential Capabilities of an IoT Cloud Platform. 8:30 AM – Hands On Lab: Windows Workloads on AWS. Noon – AWS Services Overview & Quarterly Update. 1:30 PM – Scaling to Million of Users in the Blink of an Eye with Amazon CloudFront: Are you Ready? 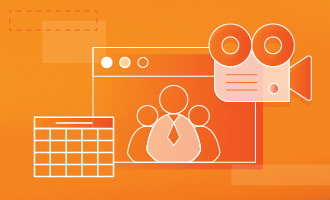 9:00 AM – IDC and AWS Joint Webinar: Getting the Most Bang for your Buck with #EC2 #Winning. 10:30 AM – From Monolith to Microservices – Containerized Microservices on AWS. Noon – Accelerating Mobile Application Development and Delivery with AWS Mobile Hub. 8:30 AM – Hands On Lab: Introduction to Microsoft SQL Server in AWS. 10:30 AM – Applying AWS Organizations to Complex Account Structures. 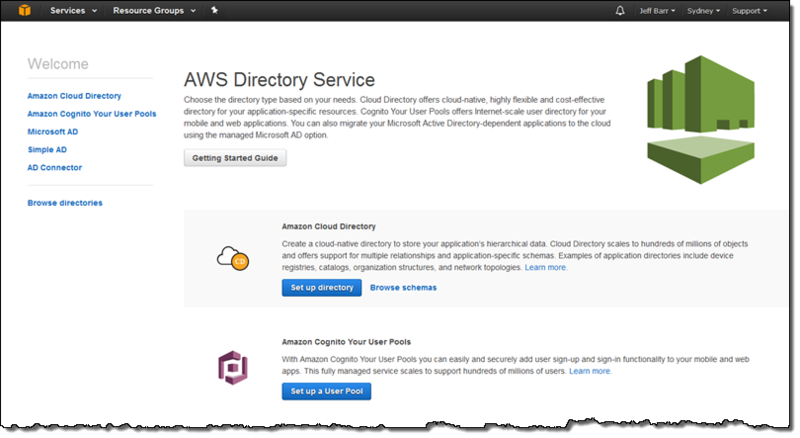 Noon – Deep Dive on Amazon Cloud Directory. I will be presenting Tuesday’s service overview – hope to “see” you there. As part of the AWS Monthly Online Tech Talks series, AWS will present Deep Dive on Amazon Cloud Directory on Thursday, April 27. This tech talk will start at noon and end at 1:00 P.M. Pacific Time. AWS Cloud Directory Expert Quint Van Deman will show you how Amazon Cloud Directory enables you to build flexible cloud-native directories for organizing hierarchies of data along multiple dimensions. Using Cloud Directory, you can easily build organizational charts, device registries, course catalogs, and network configurations with multiple hierarchies. For example, you can build an organizational chart with one hierarchy based on reporting structure, a second hierarchy based on physical location, and a third based on cost center. About the benefits and features of Cloud Directory. The advantages of using Cloud Directory over traditional directory solutions. How to efficiently organize hierarchies of data across multiple dimensions. 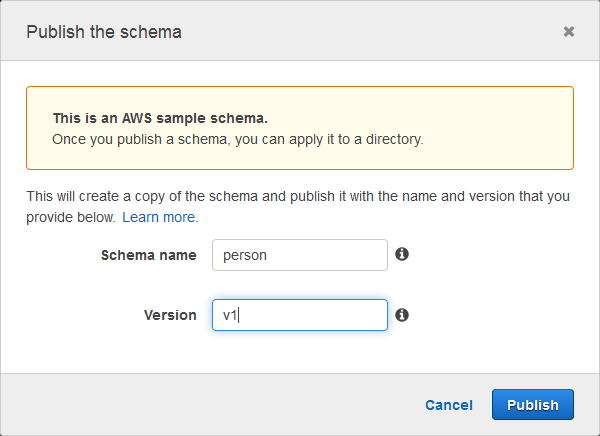 How to create and extend Cloud Directory schemas. How to search your directory using strongly consistent and eventually consistent search APIs. Amazon Cloud Directory enables you to build flexible, cloud-native directories for organizing hierarchies of data along multiple dimensions. For example, you can create an organizational structure that you can navigate through multiple hierarchies for reporting structure, location, and cost center. With Cloud Directory, you can create directories for a variety of use cases, such as course catalogs and device registries. Today, we made available a new Cloud Directory API, ListObjectParentPaths, that enables you to retrieve all available parent paths for any directory object across multiple hierarchies. Use this API when you want to fetch all parent objects for a specific child object. The order of the paths and objects returned is consistent across iterative calls to the API, unless objects are moved or deleted. In case an object has multiple parents, the API allows you to control the number of paths returned by using a paginated call pattern. In this blog post, I use an example directory to demonstrate how this new API enables you to retrieve data across multiple dimensions to implement powerful applications quickly. Let’s look at an expense-approval use case. A typical corporate expense-approval application needs to understand the reporting dimension for an employee to route expense reports for approval. The application also needs to understand departmental budgets and individual expense limits based on a finance cost center dimension. If the expense-approval application were built using traditional solutions, you would have to run one query to get the organization’s reporting structure for the list of expense approvers and another query for the cost-center hierarchy to get budget data. However, with the new Cloud Directory API, you can query for all this information with a single call. In the following diagram, the multidimensional hierarchy includes a reporting dimension and a finance dimension, with cost centers for groups and departments. Let’s say our expense-approval application needs to process an expense report for Tim. In order to complete the workflow, the application needs to understand the reporting structure of Tim as well as his department’s and his budget constraints. The ListObjectParentPaths API enables the expense-approval application to get both the approval chain and the budget constraints in a single call. 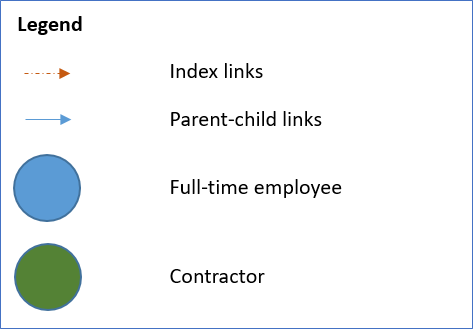 For example, when requesting parent paths for object Tim, the response gives both the reporting chain (John, Jane) and the cost center (Corporate, Cost Center 123) as parent paths. The preceding request and response show how a single Cloud Directory API call can fetch all relevant information in my application to process the expense report for employee, Tim. My application’s logic can check the expense report against the applicable budget constraints and approval chain to process it. Note that in the previous request, I set MaxResults to 2, this enabled me to retrieve both paths with the objects in a list. However, if I set MaxResults to 1, I need to make two paginated calls with page tokens to get all paths with lists of objects. With Cloud Directory, you can build multidimensional hierarchies to model complex relationships. Use the new API to easily collect and evaluate all the dimensions and associated information. For more information about the new API, see the Objects and Links documentation. If you have comments about this blog post, submit them in the “Comments” section below. If you have questions about implementing the solution in this blog post, start a new thread in the Directory Service forum. Amazon Cloud Directory enables you to create directories for a variety of use cases, such as organizational charts, course catalogs, and device registries. Cloud Directory offers you the flexibility to create directories with hierarchies that span multiple dimensions. For example, you can create an organizational chart that you can navigate through separate hierarchies for reporting structure, location, and cost center. 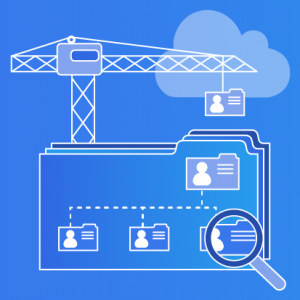 In this blog post, I show how to use Cloud Directory APIs to create an organizational chart with two separate hierarchies in a single directory. I also show how to navigate the hierarchies and retrieve data. I use the Java SDK for all the sample code in this post, but you can use other language SDKs or the AWS CLI. 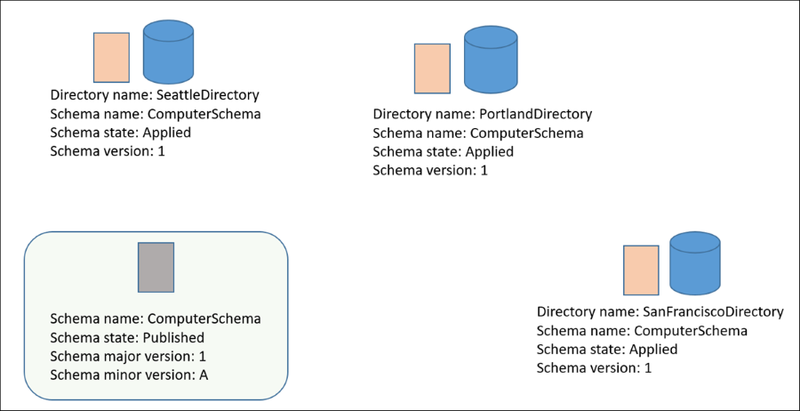 The first step in using Cloud Directory is to define a schema, which describes the data that will be stored in the directory that you will create later in this post. In this example, I define the schema by providing a JSON document. The schema has two facets: Employee and Group. I constrain the attributes within these facets by using various rules provided by Cloud Directory. For example, I specify that the Name attribute is of type STRING and must have a minimum length of 3 characters and maximum length of 100 characters. Similarly, I specify that the Status attribute is of type STRING and the value of this attribute must have one of the following three values: ACTIVE, INACTIVE, or TERMINATED. Having Cloud Directory handle these constraints means that I do not need to handle the validation of these constraints in my code, and it also lets multiple applications share the data in my directory without violating these constraints. I also specify that the objectType of Employee is a LEAF_NODE. Therefore, employee objects cannot have any children, but can have multiple parents. The objectType of Group is NODE, which means group objects can have children, but they can only have one parent object. In the next section, I show you how to create a directory with this schema by using some sample Java code. Save the following JSON document to a file and provide the path to the file in the code for creating the schema in the next section. "allowedValues" : "ACTIVE, INACTIVE, TERMINATED"
Similar to other AWS services, I have to create the client for Cloud Directory to call the service APIs. To create a client, I use the following Java code. Now, I am ready to create the schema that I defined in the JSON file earlier in the post. When I create the schema, it is in the Development state. 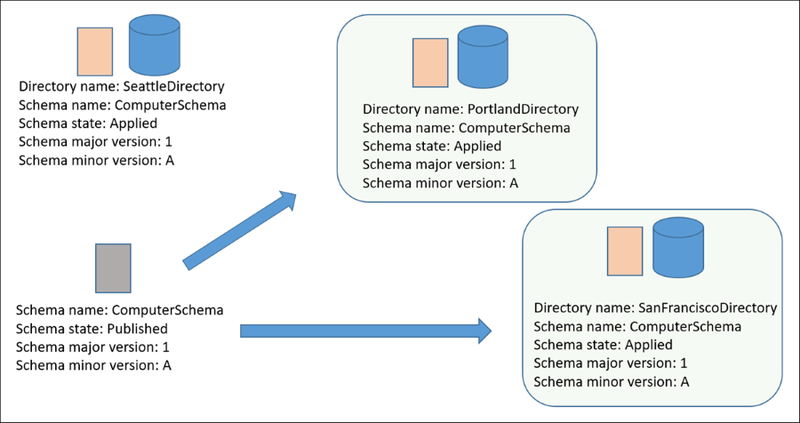 A schema in Cloud Directory can be in the Development, Published, or Applied state. When the schema is in the Development state, I can make more changes to the schema. In this case, however, I don’t want to make additional changes. Therefore, I will just publish the schema, which makes it available for creating directories (you cannot modify a schema in the Published state). I discuss the Applied state for schemas in the next section. In the following code, change the jsonFilePath variable to the file location where you saved the JSON schema in the previous step. //Read the JSON schema content from the file. I am now ready to create a directory by using the schema I just published. 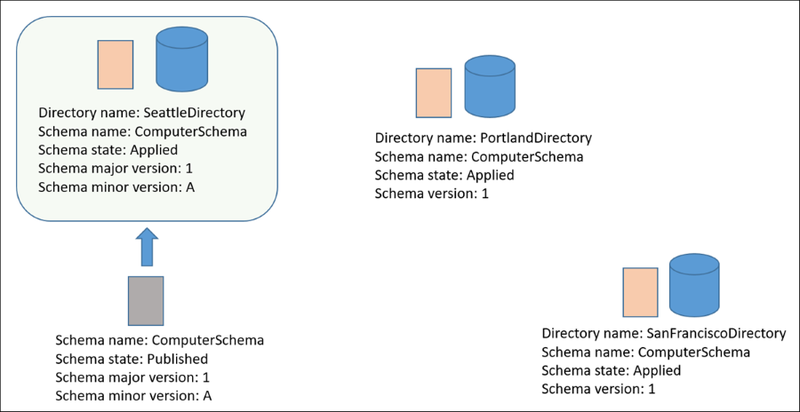 When I create a directory, Cloud Directory copies the published schema to the newly created directory. The schema copied to this directory is in the Applied state, which means if I had a scenario in which a schema attached to a particular directory needed to be changed, I could make changes to the schema that is applied to that specific directory. The following code creates the directory and receives the Applied schema ARN and directory ARN. This Applied schema ARN is useful if I need to make changes to the schema applied to this directory. The directory ARN will be used in all subsequent operations associated with the directory. 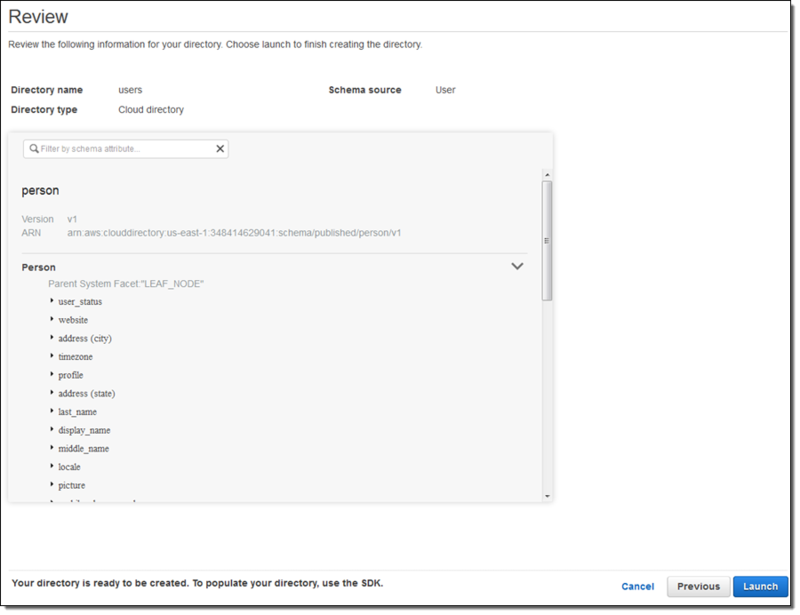 Cloud Directory will use the directory ARN to identify the directory associated with incoming requests because a single customer can create multiple directories. //Create a directory using the published schema. Specify a directory name, which must be unique within an account. The organizational chart I want to create has a simple hierarchy as shown in the following diagram. Anna belongs to both the ITStaff and Managers groups. This example demonstrates a capability of Cloud Directory that enables me to build multiple hierarchies in a single directory. These hierarchies can have their own structure and leaf nodes belonging to more than one hierarchy because lead nodes can have more than one parent. Being able to create multiple hierarchies within a single directory gives me some flexibility in how I organize my employees. 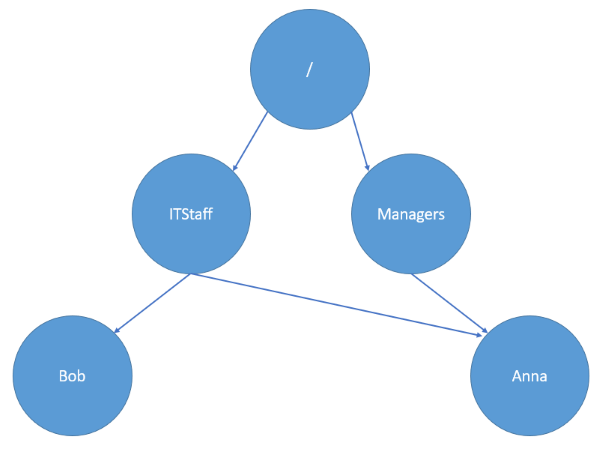 For example, I can create a hierarchy representing departments in my organization and add employees to their respective departments, as illustrated in the following diagram. I can create another hierarchy representing geographic locations and add employees to the geographic location where they work. The first step in creating this hierarchy is to create the ITStaff and Managers group objects, which is what I do in the next section. I will now create the data representing my organizational chart in the directory that I created. The following code creates the ITStaff and Managers group objects, which are created under the root node of the directory. // to the root node is always "/". // The name attached to the link between the parent and the child objects. //We specify the attributes to attach to this object. The group objects are now in the directory. Next, I create employee objects for Anna and Bob under the ITStaff group. The following Java code creates the Anna object. Creating the Bob object is similar. When creating the Bob object, I provide different attribute values for Name, EmailAddress, and the like. // is a globally unique, immutable identifier assigned to every object. Both the Bob and Anna objects are created under ITStaff, but Anna is also a manager and needs to be added under the Managers group. The following code does just that. // following path instead: /ITStaff/Anna. Both are equivalent. Now that I have populated my directory, I want to find a specific object. I can do that either by using the path to the object or the object identifier. I use the getObjectInformation API to first get the Anna object by specifying its path, and then I print the object identifiers of all the parents of the Anna object. I should print two parent object identifiers because Anna has both ITStaff and Managers as its parent. Here I am listing parents; however, I also can perform other operations on the object such as listing its children or its attributes. Using listChildren and listObjectAttributes, I can retrieve all the information stored in my directory. In this post, I showed how to use Cloud Directory APIs to create an organizational chart with multiple hierarchies. Keep in mind that Cloud Directory offers additional functionality such as batch operations and indexing that I have not covered in this blog post. For more information, see the Amazon Cloud Directory API Reference. If you have questions or suggestions about this blog post, start a new thread on the Directory Service forum. Cloud Directory is a building block that already powers other AWS services including Amazon Cognito, AWS Organizations, and Amazon QuickSight Standard Edition. Because it plays such a crucial role within AWS, Cloud Directory was designed with scalability, high availability, and security in mind (data is encrypted at rest and while in transit). Cloud Directory is a managed service: you don’t need to think about installing or patching software, managing servers, or scaling any storage or compute infrastructure. You simply define the schemas, create a directory, and then populate your directory by making calls to the Cloud Directory API. This API is designed for speed and scale, with efficient, batch-based read and write functions. 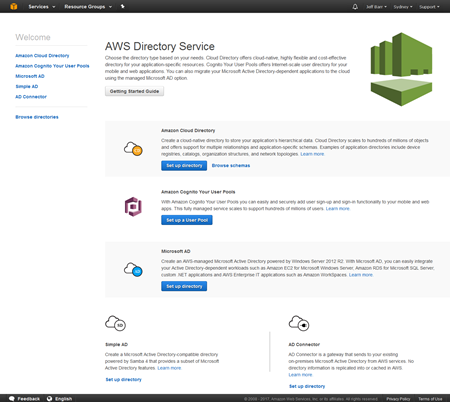 To learn more about Cloud Directory, see the full blog post on the AWS Blog. Our customers have traditionally used directories (typically Active Directory Lightweight Directory Service or LDAP-based) to manage hierarchically organized data. Device registries, course catalogs, network configurations, and user directories are often represented as hierarchies, sometimes with multiple types of relationships between objects in the same collection. For example, a user directory could have one hierarchy based on physical location (country, state, city, building, floor, and office), a second one based on projects and billing codes, and a third based on the management chain. However, traditional directory technologies do not support the use of multiple relationships in a single directory; you’d have to create and maintain additional directories if you needed to do this. Scale is another important challenge. The fundamental operations on a hierarchy involve locating the parent or the child object of a given object. Given that hierarchies can be used to represent large, nested collections of information, these fundamental operations must be as efficient as possible, regardless of how many objects there are or how deeply they are nested. Traditional directories can be difficult to scale, and the pain only grows if you are using two or more in order to represent multiple hierarchies. Today we are launching Cloud Directory. This service is purpose-built for storing large amounts of strongly typed hierarchical data as described above. With the ability to scale to hundreds of millions of objects while remaining cost-effective, Cloud Directory is a great fit for all sorts of cloud and mobile applications. Cloud Directory is a building block that already powers other AWS services including Amazon Cognito and AWS Organizations. Because it plays such a crucial role within AWS, it was designed with scalability, high availability, and security in mind (data is encrypted at rest and while in transit). Amazon Cloud Directory is a managed service; you don’t need to think about installing or patching software, managing servers, or scaling any storage or compute infrastructure. You simply define the schemas, create a directory, and then populate your directory by making calls to the Cloud Directory API. This API is designed for speed and for scale, with efficient, batch-based read and write functions. The long-lasting nature of a directory, combined with the scale and the diversity of use cases that it must support over its lifetime, brings another challenge to light. Experience has shown that static schemas lack the flexibility to adapt to the changes that arise with scale and with new use cases. In order to address this challenge and to make the directory future-proof, Cloud Directory is built around a model that explicitly makes room for change. You simply extend your existing schemas by adding new facets. This is a safe operation that leaves existing data intact so that existing applications will continue to work as expected. 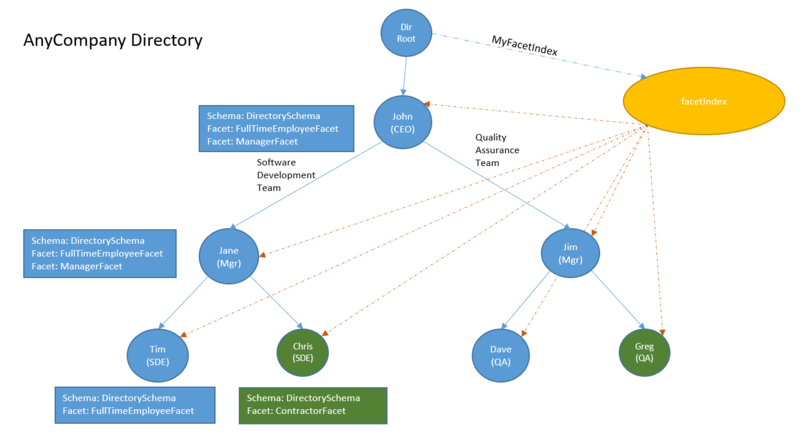 Combining schemas and facets allows you to represent multiple hierarchies within the same directory. For example, your first hierarchy could mirror your org chart. Later, you could add an additional facet to track some additional properties for each employee, perhaps a second phone number or a social network handle. 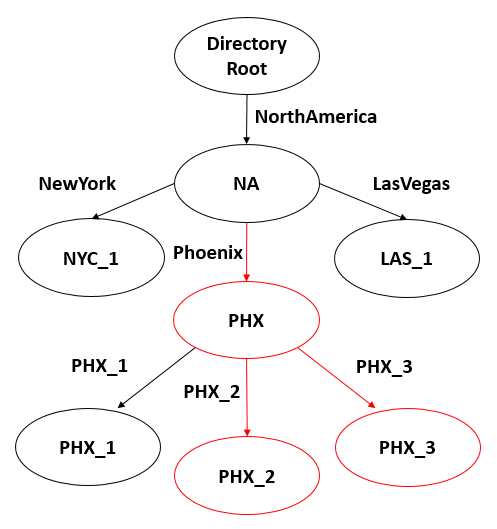 After that, you can could create a geographically oriented hierarchy within the same data: Countries, states, buildings, floors, offices, and employees. As I mentioned, other parts of AWS already use Amazon Cloud Directory. Cognito User Pools use Cloud Directory to offer application-specific user directories with support for user sign-up, sign-in and multi-factor authentication. With Cognito Your User Pools, you can easily and securely add sign-up and sign-in functionality to your mobile and web apps with a fully-managed service that scales to support hundreds of millions of users. Similarly, AWS Organizations uses Cloud Directory to support creation of groups of related AWS accounts and makes good use of multiple hierarchies to enforce a wide range of policies. Directories are named, and must have at least one schema. Directories store objects, relationships between objects, schemas, and policies. Facets model the data by defining required and allowable attributes. Each facet provides an independent scope for attribute names; this allows multiple applications that share a directory to safely and independently extend a given schema without fear of collision or confusion. Schemas define the “shape” of data stored in a directory by making reference to one or more facets. Each directory can have one or more schemas. Schemas exist in one of three phases (Development, Published, or Applied). Development schemas can be modified; Published schemas are immutable. 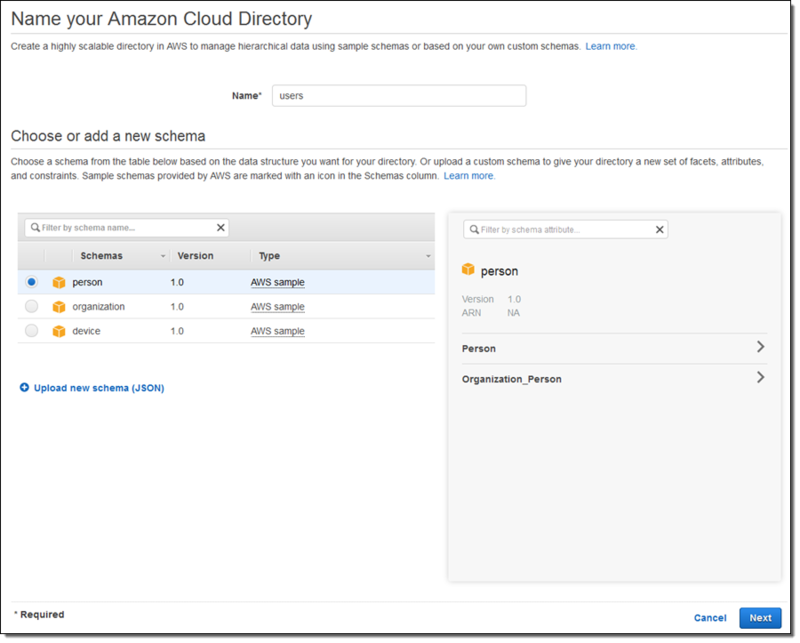 Amazon Cloud Directory includes a collection of predefined schemas for people, organizations, and devices. The combination of schemas and facets leaves the door open to significant additions to the initial data model and subject area over time, while ensuring that existing applications will still work as expected. Attributes are the actual stored data. Each attribute is named and typed; data types include Boolean, binary (blob), date/time, number, and string. Attributes can be mandatory or optional, and immutable or editable. The definition of an attribute can specify a rule that is used to validate the length and/or content of an attribute before it is stored or updated. Binary and string objects can be length-checked against minimum and maximum lengths. A rule can indicate that a string must have a value chosen from a list, or that a number is within a given range. Objects are stored in directories, have attributes, and are defined by a schema. Each object can have multiple children and multiple parents, as specified by the schema. You can use the multiple-parent feature to create multiple, independent hierarchies within a single directory (sometimes known as a forest of trees). Policies can be specified at any level of the hierarchy, and are inherited by child objects. Cloud Directory does not interpret or assign any meaning to policies, leaving this up to the application. 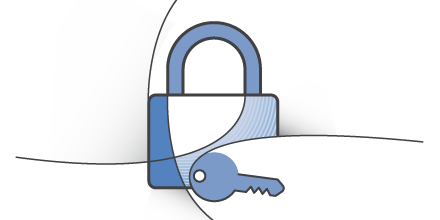 Policies can be used to specify and control access permissions, user rights, device characteristics, and so forth. The directory is created, and I can then write code to add objects to it. Cloud Directory is available now in the US East (Northern Virginia), US East (Ohio), US West (Oregon), EU (Ireland), Asia Pacific (Sydney), and Asia Pacific (Singapore) Regions and you can start using it today. We have some big plans for Cloud Directory! While the priorities can change due to customer feedback, we are working on cross-region replication, AWS Lambda integration, and the ability to create new directories via AWS CloudFormation.